The Benue State government has honored IITA Ambassador, former President Olusegun Obasanjo; IITA Deputy Director General for Partnerships and Delivery, Kenton Dashiell; Governor of Ebonyi State, David Umahi; and a former Deputy Governor of Benue State, Sule Yaji for their contributions to food security. 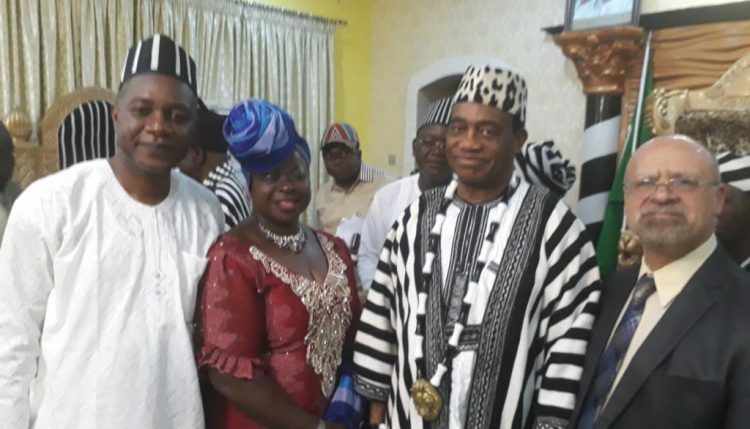 The four eminent persons were dressed in a cultural attire of the state as a mark of honor for their contributions during the maiden meeting of the Nigeria Zero Hunger Forum in Makurdi, Benue state. 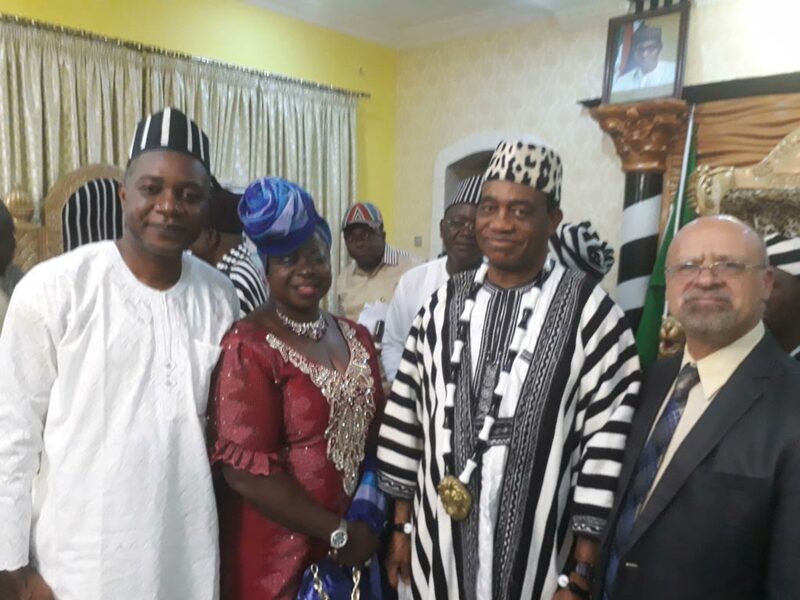 L-R: Godwin Atser, Toyin Oke, His Royal Highness, Tor Tiv, Prof James Ayatse; and DDG Dashiell in Benue state. Obasanjo, who spoke on behalf of the four, thanked the state for the honor and pledged his commitment to supporting initiatives to end hunger. In another related development, DDG Dashiell was also received by the traditional head of the Tiv nation, His Royal Highness Prof James Ayatse. Prof Ayatse had served as a member of IITA’s Board of Trustees. DDG Dashiell was accompanied by IITA Communication and Knowledge Exchange Expert, Godwin Atser; and Head of Resource Mobilization and external Liaison, Toyin Oke. The visit to the traditional ruler was part of efforts to get traditional rulers’ support for the zero hunger initiative.